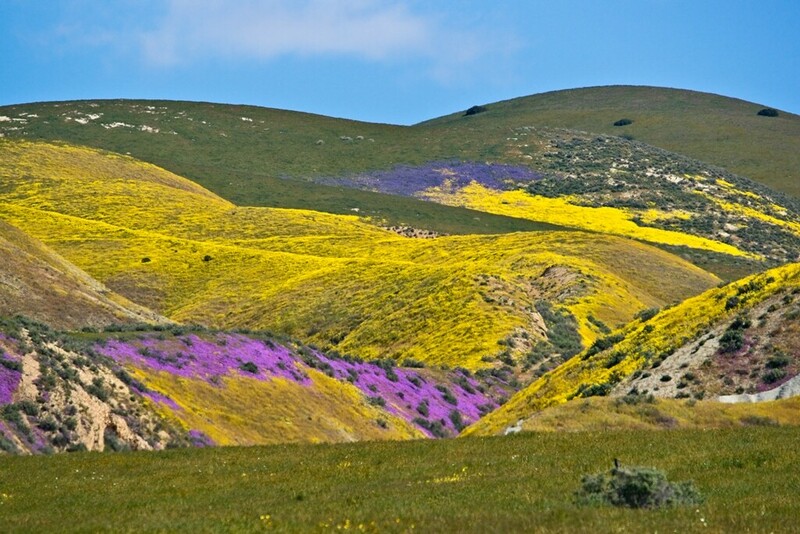 On my way to a fishing derby in central California, I took a 90 mile detour to see a popular wildflower area that had been reportedly "going off". 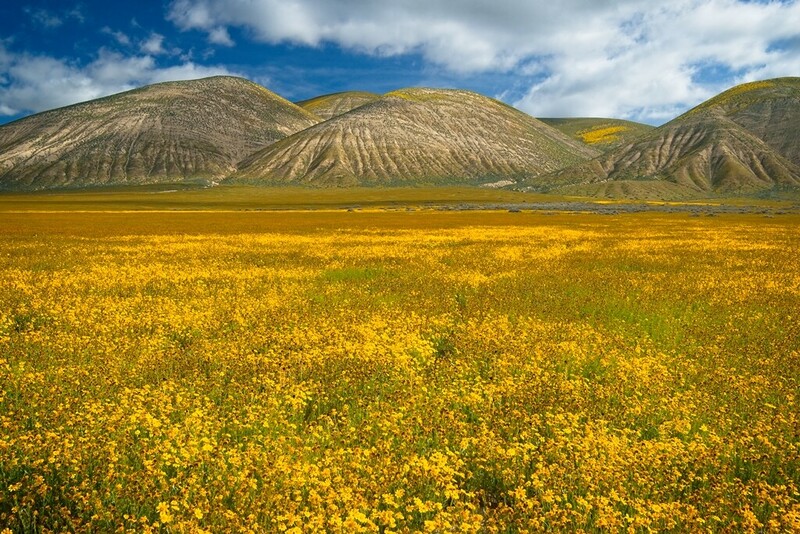 It's the Carrizo Plain National Monument, https://www.blm.gov/programs/nationa...ional-monument. I started from the south end and drove all the way through on a dirt road. About 50 miles of dirt on Elkhorn Rd. The flowers got better as I continued north towards highway 58. If you would like to explore a very remote area then the southern area this is about as remote as you can get in crowed California. 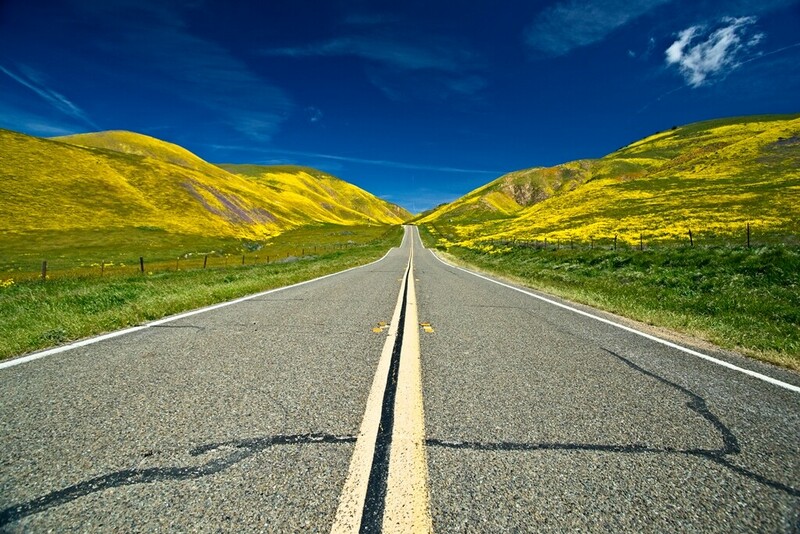 If your objective is to see wildflowers then entering from hwy 58 is best. Looking north from the top of Elkhorn grade. Thats Elkhorn road north you can see disappearing in the distance. This was taken at Elkhorn Plain located on the east side of the San Andreas Fault. 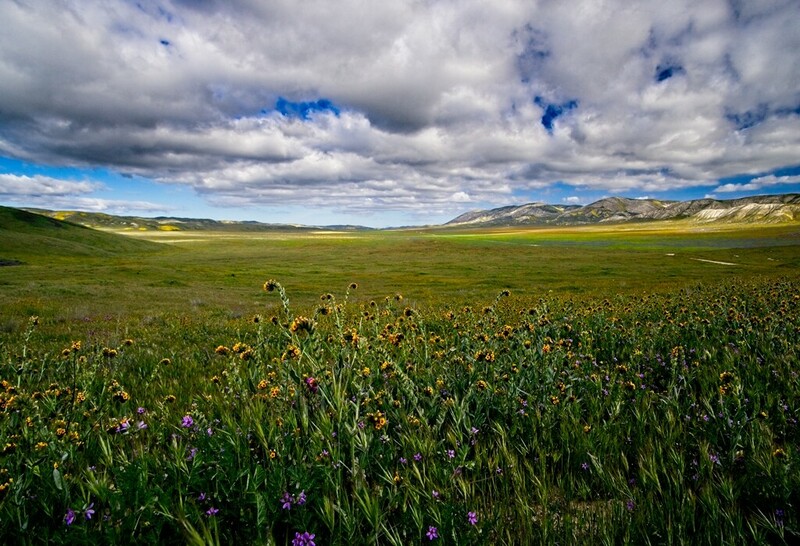 To the west side of the fault is Carrizo Plain. They parallel each other. About 2 miles from Hwy 58 the colors really start to show. 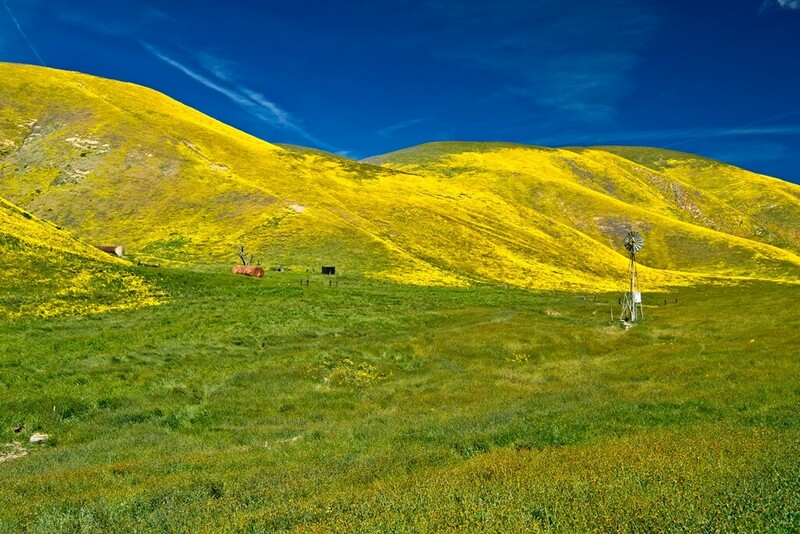 Hills of yellow, skies of blue. 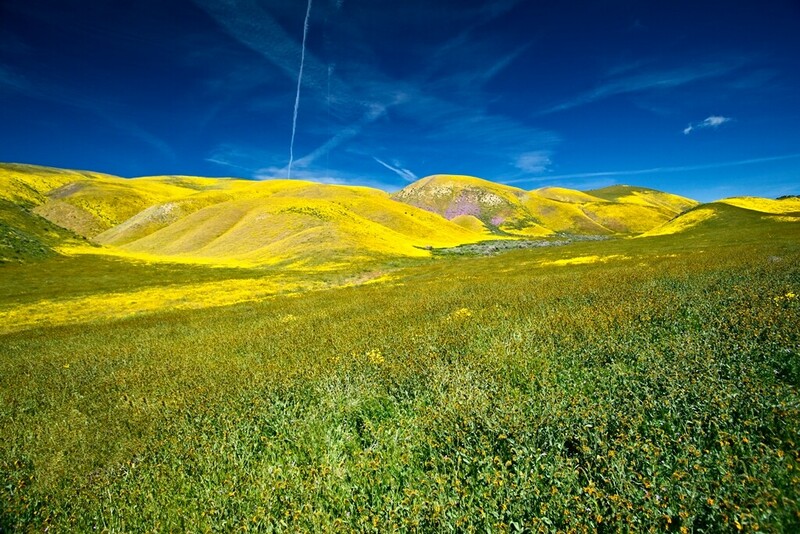 As I headed east towards the Sierras there were many places where there was impressive wild flower blooms. Arvin, Kernville, Lake Isabella and all the surrounding foothills had very nice displays. There's probably a week or two to catch it before it fades into the golden brown hillsides of summer. Last edited by lomitamike; Apr 16, 2019 at 9:03 PM. Thanks for sharing these lovely scenes, Mike.